If you are unsure where to begin the colour selection from, start by experimenting in a bathroom, a bedroom area, or small hall. If you are doing painting on your own, choose an area that is quick to ensure that you see the result as quickly as possible. As it is a small area, if you don’t like the colour, you can change it. To begin with, choose your favorite colour as an accent or main colour. If you dont feel comfortable painting you should always seek a local professional painting company to help. When choosing a colour for your wall, look for the vibe that the room gives out. In the bedroom, people generally want to get a relaxed, smoothing, or intimate or dramatic feel. Cool, soft or neutral colours are for the time when you want to create a soothing feeling, on the other hand, if you want to create a dramatic feel, go for stronger colours. For the dining room, people generally want friendly, formal, or quite a vibe. Warm, contrasting and some brighter colours give out a friendly environment, while neutral and deeper blue-greens gives a more formal atmosphere. For a kids’ room, people go for lively, interesting, or resting vibe. Makes sure you don’t overdo the environment with too much bright colour. Later, you may find that brighter colours can result in restlessness and irritability. 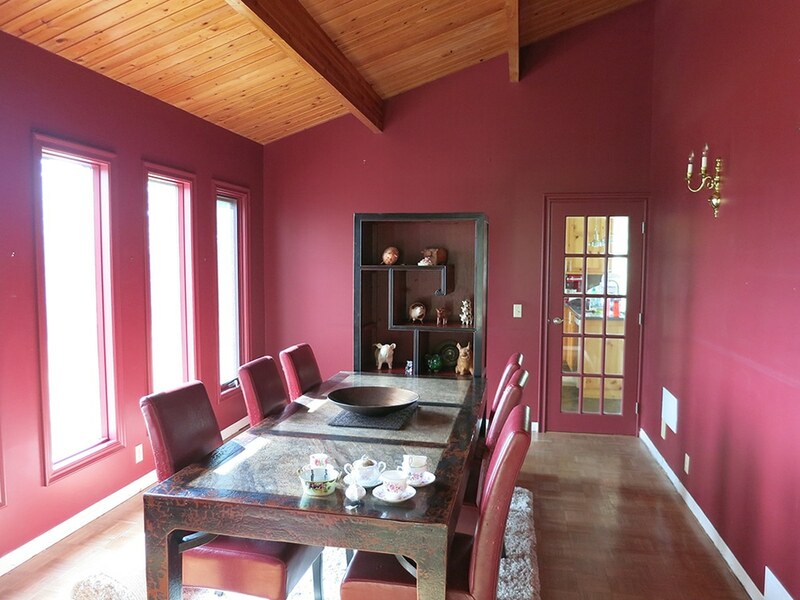 Basically, a strong shade of colour is likely too bright and overwhelming when used in the room with large window. However, it might look good in the room where there is no direct lighting. The intensity of the colour determines its brilliance. The solid colours such as red are more intense as compared to green, yellow, and other lighter colours. If you want to make your space more active, go for stronger and intense shades of colour. Even if you are looking for lighter shaded colour in your room, select colours that have more saturation like light pastels and off-white. Enhance the confidence on a particular colour by testing it on the large areas of the wall or poster board. Don’t shy away to cross your comfort zone. Go for solid, soft, vivid, deep neutral colours such as olive greens or chocolate brown. Or you can consider adding drama with a strong shade of colour on your ceiling. Reform your dull walls into unique and exciting personal space by adding a dramatic texture. Metal finishes, burnished materials, layered colours, etc. are great for adding depth to your walls.